How would you like an app that can help you see your check messaging app messages without alerting the senders that their messages have been read by the blue ticks or Last Seen status? Technically speaking, this can be done without an app in 2 ways - using the notifications that come on receiving these messages or going offline when you want to read the messages and deleting them so that when you go back online again the ticks or status is not updated. But both of these tricks have their limitations on the number of messages you can read since you can see only a limited number of messages from your notification bar and if you delete the messages then you don't have old messages with you to check later. This is where Hide - Blue Ticks or Last Seen app comes in to picture. ...after 5 years of IT Experience. I thought to start my own venture by the name Codeplay Labs. Hide is one of our product and very close to my heart. This app is very helpful to get rid of daily messaging and chatting with the friends as well as in the groups. Sometimes , Hide is A true friend in situations, when you are puzzled and in no mood to reply. When you launch the app for the first time after installation you are asked to provide it with the permission to read your notification bar. 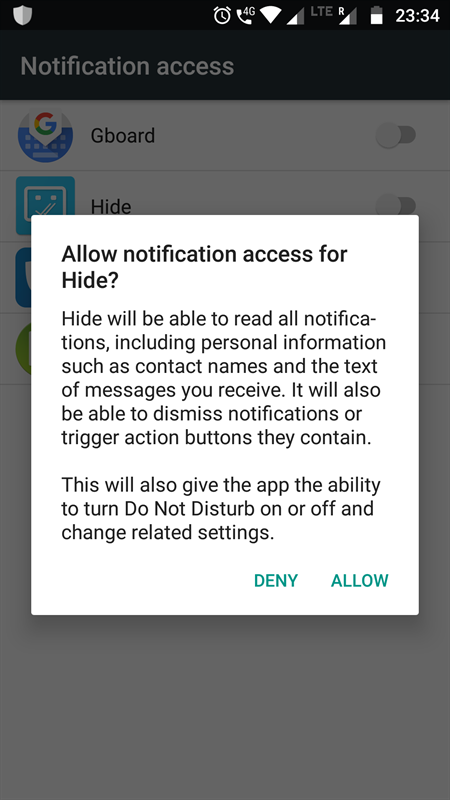 Once you have given the permission, whenever a message notification comes to you, for example, a Whatsapp notification, you can see that the message is also available in the Hide app and it shows up along with the actual notification in the notification bar too. You can clear the notification or click on the notification from the Hide app to read the message. This action won't give a blue tick in the Whatsapp app since the data was read from the notification bar and not from the app. In the same way, it can fetch data of all other messaging apps without triggering read receipts for any of the app. The supported apps are - Whatsapp, Facebook Messenger, Goole Allo, Viber, IMO, Telegram and Instagram. Get your privacy back, decide when to reply and whether to reply without antagonizing the other person. Whatsapp deleted messages are available in Hide chat history. Hide - Blue Ticks or Last Seen app is still in beta stage and therefore has a few bugs that I was easily able to notice. Though these don't affect the functionality but would be nice if they are fixed before being launched for a wider audience. Alerts which are not messages get recorded. 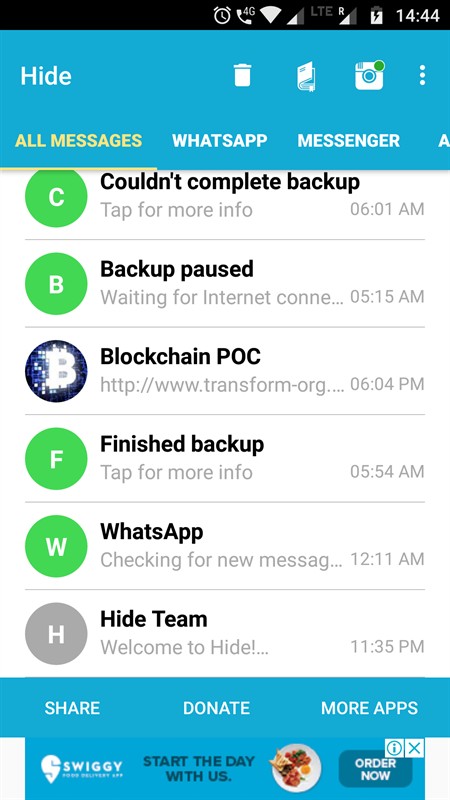 For example, my Whatsapp data backup alerts too got recorded in the Hide app and so did the message of "Checking for new messages" when I was in a weak network coverage area. 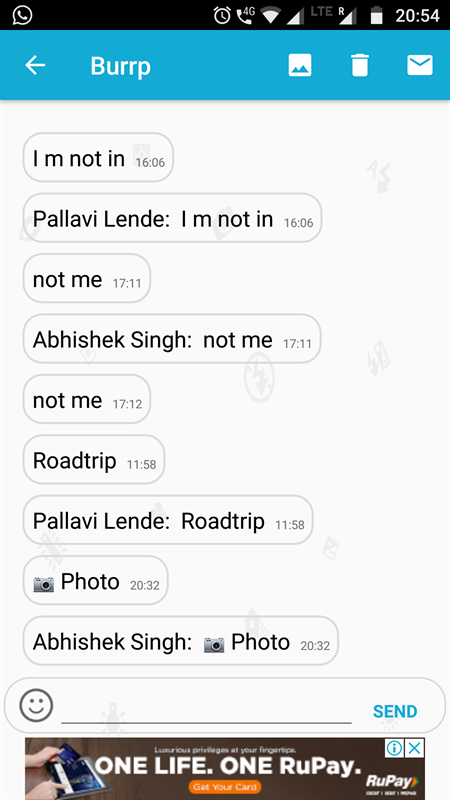 It is not always easy to recognize who has sent the message since unlike the actual apps that names are not always available. This happens obviously due to the limited functionality of the notification bar which directly limits Hide app functionality since it reads the message from there. An obvious limitation of reading from the notification bar is that you can't access images and videos through this app. For that, you need to go to the actual messaging app. Though Hide is not the ultimate solution of staying incognito from Blue ticks and Send receipts of Whatsapp, Messenger, Telegram, Instagram and other apps, it is definitely something better than nothing. This provides you with the ability to respond at your own leisure and gives you some control of your online social life back to you. Important Note: Android does not allow any app to get notification bar permission through app permissions and hence, requires you to manually provide it to any app you want. This permission gives the app access to a lot of information on your mobile since now it can read your financial transactions messages which come through SMS, any payment app update, your reminders and obviously all your app messages that alert you through the notification bar. So this is a permission that you should definitely think twice about before giving it to any app. If you are fine with taking the risk and believe that the app you are going to install is not going to read these unrelated details, you can go ahead and give this permission after the installation.